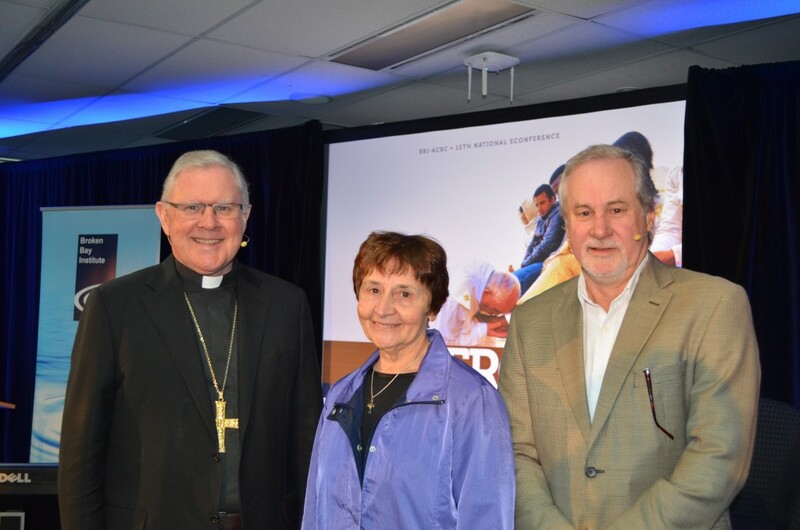 Captivating the eConference audience for over 4 hours, Archbishop Coleridge, along with renowned Catholic scholar, Sr Veronica Lawson and, President of the Refugee Council of Australia, Mr Phil Glendenning spoke compellingly about the plight of the 65 million people displaced around the world. “One of our blessings in this country is that our recent generations don’t understand war, what it’s like, what it smells like and what it does to your soul. People coming from war-torn countries tend to be invisible to the rest of the world. “Compassion for people is our greatest civilising strength, and the vision we see from Pope Francis is quite rare in this world. His leadership requires a response,” Mr Glendenning said. CEO of BBI – The Australian Institute of Theological Education, Dr Gerard Goldman said broadcasting a free annual eConference is a means to explore the rich dialogue of humanity amongst scholars, clergy and believers of all faiths on a global stage. “Each year, with our partners, the Australian Catholic Bishops Conference and social media support from the Archdiocese of Sydney’s Xt3.com team, we look forward to engaging the community with rigorous and relevant discussions about an inclusive and diverse religious community all over the world,” he said. “We are dealing with a God who doesn’t ask us to do the impossible. In the Church we have buildings and meeting places. If we could open them a little more for us to engage one another the paradigm would shift and make us a much more merciful world and a more merciful Church,” Sr Lawson said. Pleading for Mercy in action, Mr Glendenning voiced his concerns over Australia’s ongoing juggle of asylum seeker migration, urging the Government to address the refugee crisis the same way Malcom Fraser did after the Vietnam War by making health, education and working rights more accessible by refugees in the region. 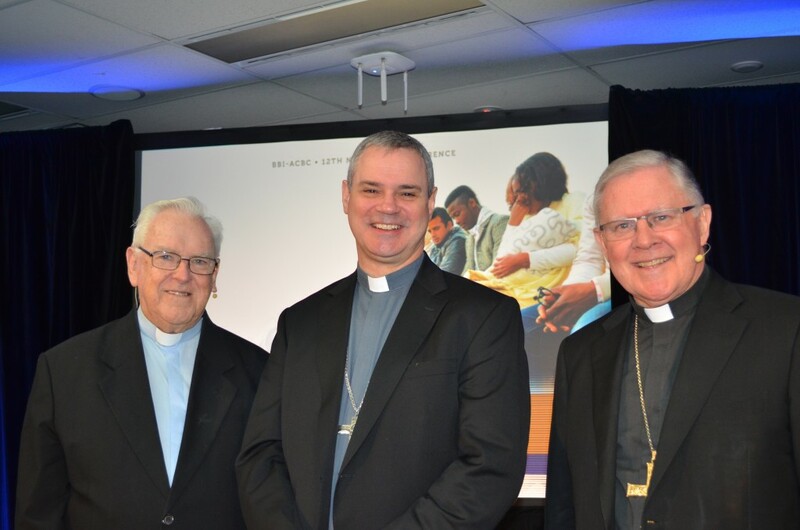 Archbishop Mark Coleridge, Sr Veronica Lawson & Mr Phil Glendenning. “I have a quote from Philip Pinto, who says ‘It is futile for earthbound humanity to cling to the dark and poisoning superstition that our world ends at the nearest hill, is enclosed by the river shore and is limited to those who share our town, views, and the colour of our skin’”. “It is the task of our young people and people of faith to work together, to strip the last cruel remnants of that ancient belief from the fabric of humanity — that’s the call of Mercy,” Mr Glendenning said. The eConference is a free service delivered by BBI, which is an online higher education provider in post graduate, governance and canon law degrees. 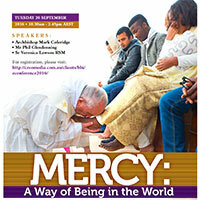 BBI’s eConference on Mercy is free to view until 4th October 2016 at: www.creomedia.com.au/clients/bbi/econference2016/ .